The data below is from an article in the American Skeptic magazine, vol. 18 no. 4 page 44. In the USA, there are close to 140,000 deaths in hospitals each year that are ascribed to improper medical practice. These are preventable. In recent years, there has been a major effort to improve systems, and make actions systematic and repeatable, according to high standards. These efforts have failed, and the number of preventable deaths remains high. Further studies have indicated that the major cause of this problem is a relatively small number of incompetent doctors. Over the last 20 years in the USA, only 2% of doctors were implicated in 50% of the moneys paid out in malpractice lawsuits. In Australia, complaints about incompetency involved only 1% of doctors for 25% of all complaints. It is very clear that the removal of a small number of doctors (sideways promotions) from patient care will result in a massive reduction in preventable deaths. In the USA, this would save more lives each year than all auto accident deaths put together. 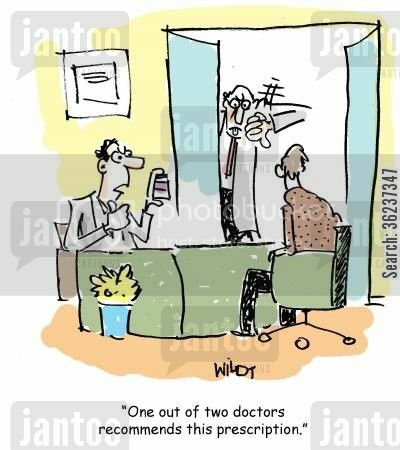 But, even though American hospitals are required by law to report any incompetent doctor, only 47% have ever, in all the years of their existence, reported even one single incompetent doctor. What is needed, in all developed nations, not just America, to get rid of incompetent doctors from front line care? Bad Robot, babe and Implicate Order like this. From our experience in the UK, one suggestion is to improve how 'whistleblowing' is handled. But I don't know if our antipodean cousins have similar problems. A couple of things. Firstly a change in the official ethics of some of the specialties. Some of them still have a principle ethical responsibility to abstain from "interference" in the care of a patient of another doctor. I quite understand that it's not a nice thing for people to "poach" patients from another person's practice, but the prime responsibility of all doctors and other medical professionals must always be patient welfare, not protection of professional rights. This is changing slowly in hospitals here, but the mindset is very entrenched. One thing that struck me when all the ghastly details were coming out piece by piece about that awful surgeon in a Queensland hospital. Most of the GPs in the area knew about him and made sure they never referred patients to him. It took a very brave nurse to turn herself into a whistleblower about his gross incompetence and profound ignorance. Ignorance? When someone once reminded him about handwashing protocols he angrily insisted that senior doctors like him were immune to germs so he didn't need to wash his hands like lesser mortals do. (Those weren't the words he used, but that was very definitely the sentiment.) The important thing was that many doctors, both inside the hospital and outside in general practice, knew this bloke was unsafe for their own patients and for all patients and they did nothing about officially complaining to the hospital, nor to the Medical Board, about his dangerous incompetence, they just tried to protect their own patients by keeping them away from him if they could. It was kept to golf club gossip. As I understand it, this puts responsibility for patient care on everyone in a hospital ward - including the cleaners. It also puts responsibility on everyone to listen and respond to the concerns that anyone raises about any patient's care. Basically, it means that no one "walks past" a problem expecting that it's someone else's job to take care of it. So it's perfectly OK for a totally unqualified porter to tell a senior nurse or doctor that a patient needs prompt attention - and they won't be dismissed or ignored or told that it's not their job. Bad Robot and Implicate Order like this. Skeptic, from what I've read, your 140k is on the low side. Most estimates put the number closer to 200k, and at least one claimed 280k (the wording was odd, and may have been referring to all malpractice. From my experience, the problem stems from arrogance, and a childish refusal to admit to mistakes. I can't think of anything much lower than an incompetent doctor. I remember reading an article some time ago, that there was a plan to post all malpractice lawsuits online. However, I never saw anything about that happening. I guess the idea is that any doctor who is getting sued a lot for malpractice is going to stand out like a sore thumb on any search. This brings up another problem. How many people do any online research about the doctors in their lives? I know I should be doing it, yet I rarely ever think of doing it, and then there's those emergencies that take that choice out of your control. A couple of months ago, Consumer Reports Magazine published a national hospital ratings list, and the hospital in my area gets a very high rating, which tells me they don't have any incompetent doctors on their staff and they practice a high level of cleanliness and sanitation. Also, I've experienced their service first hand and have no complaints. So that puts my mind at ease for any local emergencies. In addition to the 'closed professional ranks' and lack of adequate 'whistle-blower protection' (where can this person hope to find a physician after the fact?) I might also offer up that in this jurisdiction, there is a significant percentage of the population that has no family doctor which makes even getting a prescription renewed a challenge and treatment for chronic care becomes a huge challenge. The very shortage of access to medical professionals would suggest that a physician would have to be pretty obviously defunct to be given the boot. babe and Implicate Order like this. Skeptic, from what I've read, your 140k is on the low side. Perhaps. I am certainly not an expert on this myself, and I am relying on figures put up by others. But the author of the Skeptic article is an M.D. Doctor Philip Levitt, a retired neurologist from Florida. I suspect he knows what he is talking about. Are you sure, sculptor, that your figure is not all hospital deaths, and not those that are preventable? I can't think of anything much lower than an incompetent doctor. Medicine is hard enough with some of the more problematic conditions without having to worry about incompetent doctors. Here is a classic example but also make sure you read the update here for some of the revised findings. Irrespective of the verdict......poor bloke. This problem didn't become incompetent until they had the technology and didn't use it. They actually did a study of what happens to people in solitary confinement (no contact with other humans) for many years. They all become psychologically damaged, so even if these people were to establish some form of communication after all this time, they would never be normal and I can't imagine they could ever have any kind of quality of life. An incompetent pilot? An incompetent architect? An incompetent civil engineer? An incompetent bus driver? All have, at one time or another, managed to kill a lot of people. Didn't you just post that people should research their doctors? Not all the care you get as a result of a hospital visit comes from staff. As you said, it's a good idea to research any health care professional you are getting care from. This problem didn't become incompetent until they had the technology and didn't use it. Good point. As a loved one, this would make the blood boil and should be a concern for anyone else. What frustrates me is when the medical fraternity rails together to 'mute' these instances. This concerted effort often is seen in a few large hospitals for example and many other of the 'institutions' related to other professions. It is something that can quickly get out of hand and needs to be stamped on. It's getting much harder for hospitals to cover for incompetent doctors when they are being rated. They are much better off getting rid of the doctor. But I'd be much more careful of doctor owned clinics, that keep a low public profile. The very shortage of access to medical professionals would suggest that a physician would have to be pretty obviously defunct to be given the boot. So in reality we must continue to include mediocre or even poor doctors (in addition to good and excellent ones). Would a very public rating help? Like when a doctor's license gets revalidated it could receive a "two thumbs down" rating, and that cautionary license must hang on the wall in plain view. Doctors have for years had this inner group. They do NOT criticize another doctor, ever. Even if they think they are the worst in the world, they have a "professional courtesy?" code of some type. I had my doctor (who was here speaking to some international eye conference) over for dinner and I told him frankly what my opinion was. First time ever did I hear a doctor say that he was "disappointed in your care". When are doctors going to own up to the others who are incompetent in their field of expertise? Last edited by Implicate Order; January 5th, 2014 at 03:17 AM. I couldn't find a picture of a thumbs down license, so I picked up another thumbs down picture. I agree it has to deal with legal issues also, as in suing for defamation, slander, etc. but heavens....it's people lives, sight, ability to walk and more!!! The eye is doing well. Implants in the right both the Ahmed and the lens. Left eye lens is this summer, as my sight in that is not doing so well. We are scheduling in March for July. I am so pleased with the result, as I was told to expect NOTHING.....literally.....I am so happy! Hopefully it will respond as well. The next two eye surgeries will be the following year, probably....unless I get really lucky. New advances made daily! I am fortunate to live in this time where they are doing so much research and I am even happy to be their guinea pig. The eye is doing well. Implants in the right both the Ahmed and the lens. Left eye lens is this summer, as my sight in that is not doing so well. We are scheduling in March for July. I am so pleased with the result, as I was told to expect NOTHING.....literally.....I am so happy! Hopefully it will respond as well. The next two eye surgeries will be the following year, probably....unless I get really lucky. New advances made daily! I am fortunate to live in this time where they are doing so much research and I am even happy to be their guinea pig. Thank you for asking! scheherazade, Bad Robot and Implicate Order like this. I can't believe those kind of terms would be legal as malpractice is a serious crime, and that would constitute interfering with a criminal investigation if and when there was one. But I can see that kind of pressure being used under the table. More and more it seems like the medical care we get is determined by the insurance companies. Some lawsuits are ridiculously large as a punishment, but who really gets punished? Not the doctor, who is insured. Not the insurance company as they increase the malpractice rates to all doctors, who in turn have to charge the people they serve more. But the lawyers do get a bigger piece of the pie for those oversized victories. The American system is lousy. Here in NZ, we have a much better way of doing it. We have compulsory accident insurance. When a person suffers from incompetent medical care, his/her extra medical bills are paid for from that fund and they are automatically compensated, also from that fund. We have a medical council for disciplining incompetent doctors. Malpractice law suits are banned. This means no expensive malpractice insurance, and cheaper medical care. Your right, that is a much better system. But we have compulsory auto liability insurance and still average about 30% uninsured drivers on the road. What kind of inforcement do you have? This medical community's fiasco strongly reminds me of the problem with airline pilots. Historically, no one questioned the pilot's orders and disasters kept happening. Then the mentality throughout the airline industry made a quantum leap — you could question the pilot's orders — and the rate of disasters dropped. The god-like attitude that some physicians is plain wrong. Some surgeons are so impossible to work with, they shouldn't even be allowed to use a steak knife at the dinner table. An attorney friend of mine says that the two most important words that physicians must learn to use is, "I'm sorry." It's surgeons copping a god-like attitude and refusing to take any responsibility that drives many people to sue for big bucks. If only surgeons would admit they made a mistake, the lawsuits might happen anyway, but their admission of guilt would allow the patients (or their families) to settle for a lot less, and not the other way around. sculptor, Bad Robot and babe like this. More and more it seems like the medical care we get is determined by the insurance companies. Some lawsuits are ridiculously large as a punishment, but who really gets punished? Not the doctor, who is insured. His insurance rates go up or he loses coverage. And if he loses insurance and it happens again, he loses everything he owns. This solves the "incompetent doctor who keeps making mistakes" problem but not the problem of one-off mistakes. Not the insurance company as they increase the malpractice rates to all doctors, who in turn have to charge the people they serve more. But the lawyers do get a bigger piece of the pie for those oversized victories. Right - and they're doing exactly what their clients (often patients) want them to do. What kind of inforcement do you have? In fact, we got around that problem by making the insurance premiums a responsibility of employers. There is a legal fiction that all accidents are caused by something on the job. We all know that is wrong, but nevertheless, it is employers who pay the premiums, and the size of the premium varies according to how hazardous the various jobs are. Every person in New Zealand is covered by the accident compensation, whether they have personally paid any premium or not. Lawsuits for malpractice and for causing accidents are banned. The penalties for being an incompetent doctor or someone who is so careless as to cause injuries, is enforced by government and allied agencies. We get the odd American who comes to NZ and gets hurt, and wants to sue someone. They tend to get right royally pissed off when they find they cannot, and that their compensation for injury is less than they might get in a law suit. But the system works. Firstly, where I live your compulsory third party insurance is paid along with the car registration - so if you were driving uninsured the car would also be unregistered. And as of the last 6 months or so, cops don't have to call in or enter anything into a computer system to check if a car is registered or not. They all have cameras for recording traffic stuff and those cameras are linked to a registration database. So they don't have to pull you over to check the details. They pull you over when they already know that the car is unregistered and uninsured. But we don't have a personal no fault accident insurance system like they do in NZ. I was thinking they could have a basic liability paid for at the pump, and proven bad drivers would pay additional insurance moneys through fines and increased registration fees. The nice thing about a system like this, is that those of us that only buy gas once a month would pay less than the guy who fills up every other day. After all why should the guy who drives less than 100 miles a month pay the same as the guy that drives over a 1000 miles a month? Also, if you paid at the pump everybody that drives pays. But getting back to health insurance, I don't believe the system Obamacare is using will work. Everybody needs to pay something and it should be handled through the tax system where they deduct it right out of every paycheck the same as they do for social security and medicare. But what do I know? Attorney's and CPA's have to carry it to...and I am sure others do that I am maybe not so familiar with. It's rather ad we have such a sue happy environment. When FIL passed, basically the doctors told us that they had possibly overmedicated him and unaware of some of his medical problems as it was an emergency. He was fine that afternoon and 12 hours later brain dead....what was the point? I guess I am just not sue happy. Sometimes bad things happen to good people and good people were doing their best. YOU WOULD BE AMAZED at what people sue for. It is usually settled OUT of Court because of prohibitive court costs and basically to just get rid of it. We pay for those sue happy people.....every day! You mean like the orthopedist who told me I was to be in a wheel chair and "Get OVER IT?" *chuckle* I think my "**** ***" comment was quite appropriate. God like is so applicable!! jrmonroe you hit that nail on the head!